Workshops, Inc.’s Avondale facility houses a Birmingham City Schools classroom. The BCS program is led by Ms. Harper, an experienced and dynamic special education teacher, and serves students from each of the Birmingham City high schools. 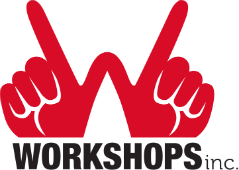 Students who participate in this program have the opportunity to engage in paid work experience in Workshops, Inc.’s Affirmative Business Enterprise. Also during the school year, Workshops, Inc. provides a fun, interactive and effective trainings in local high schools. We have several curricula options, including Smart Work Ethics and customized independent living skills classes. Our team works with teachers to determine the best fit for each class. Classes are typically offered in 8 sessions of about an hour each. Each summer Workshops, Inc. offers a Summer JETS (Job Exploration Training) Program for high school students with disabilities. In 2019 this is a six-week program in which students learn and practice job readiness skills and gain work experience in a variety of community businesses. Each of these programs is offered at no cost to the participants, thanks to the Alabama Department of Rehabilitation Services, Birmingham City Schools and the Junior League of Birmingham. Funding from the Junior League is specifically designated to support the Birmingham City Schools students with disabilities who come to Workshops, Inc. for paid work experience. The criteria for participation varies. Please contact our Transition Coordinator, Liz Faris, for more information. We also have more detailed information for teachers and Vocational Rehab Counselors here.